For full information about the other 20+ films in the ABCD program go to www.abfilms.org.uk . 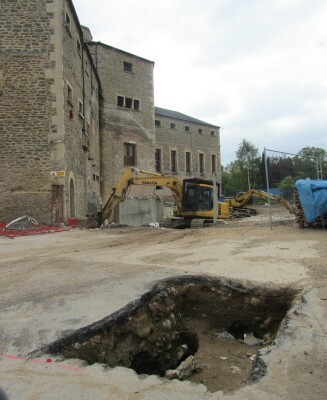 Nothing new to say about the Old Gaol in this monthly blog update, but there are pictures of two holes. 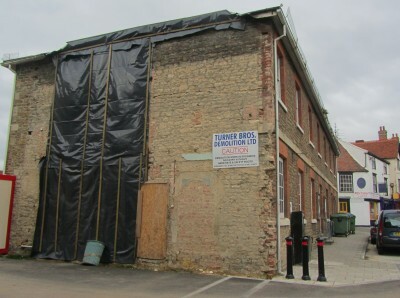 The first part of the Old Gaol development will involve building some of the superstructure for the underground carpark. I thought they had given up the idea of shops and restaurants and planned just restaurants, but that was before Ask came to town, so maybe shops are back in the plan. 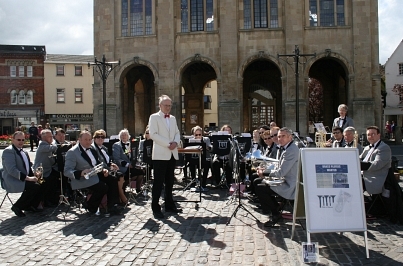 Chris Macklow – the man in white – formed Abbey Brass over 34 years ago and has been its leader ever since. In that time, about 500 people, mostly children, have been taught to play. He recently stepped down from leading the Abbey Brass, but will continue playing for a local Oxford based swing band. Trinity Church was full today for the funeral of Jean Jones. There were family and friends – including many dignitaries. Jean had joined Trinity in 1949 and there were a lot of folk from Trinity there too – where she had been an elder for many years. A church elder is there to help and encourage others – something for which she had a great gift. 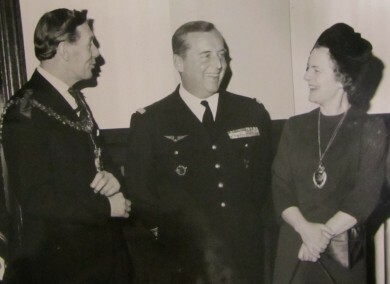 She is pictured above with her husband, John Jones, in 1967 when he was Mayor of Abingdon. He was one of Abingdon’s greats. 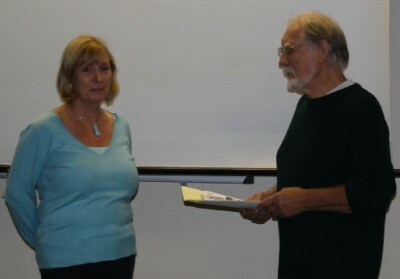 He went on to lead the Vale of the White Horse District Council and became a freeman of the town. He was also a folk hero in our twin town Lucca – which he had entered as an allied soldier at the end of the war. His Italian involved adding a few Os and A’s to the end of English words, but beside him on visits was Jean the linguist – always a great support. According to the Trash Disposal Timeline it was in, or around, AD 200 that the Romans set up the first refuse collection service – two men would walk along the street collecting rubbish and throwing it in a wagon. That has culminated in the current age of over packaging where black bags containing everything from the remains of the Sunday lunch to polystyrene and crisp wrappers and grease from the chip pan are mixed together, and put out under cover of darkness in a black bag for collection some time the next day. 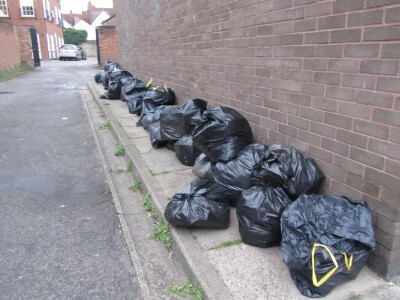 We mark the passing of an age with this picture of black bags on West St Helen Street … This will be the final time they are collected in this way. Wheelie bins are the future.